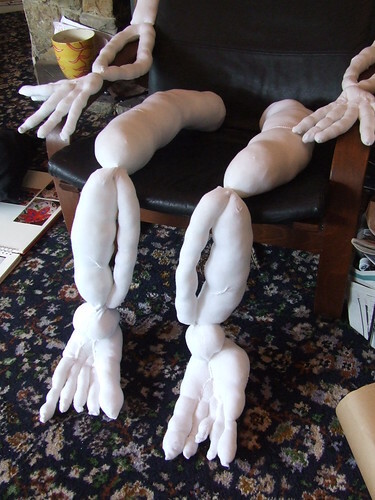 If you can see my flickr gallery on the right, you'll be able to see my sock skeleton, which is halfway through being made. We've got arms, we've got legs, and now I'm desperately trying to work out how to make ribs. Current thinking is to use string to make a layout, and then add the socks to it. This seems like cheating somehow - maybe I'm a purist.